As November is the month for #EpilepsyAwareness here is a Brain Butter recipe especially for my fellow #brainwarriors ! It’s been a LONG LONG time since I’ve posted. Mainly because there’s been so much going on, and not much at the same time, such is the life of an epileptic! For the average Joe a small task doesn’t take alot of effort, but for an epileptic, doing normal things is exhausting. You brain literally feels like butter much of the time. As I’m working on a number of small projects part-time, instead of focusing on one stable full-time job now, it can get stressful and mentally draining even though physically right now I’m only really in London as opposed to hopping between two continents as I was doing before. Still, it’s a battle trying to merely get started, complete tasks, and stay functional. I find I often spend as much (if not twice as much) time recovering (catching up on sleep, Netflix and chill, yoga and meditation, me time!) as I do just getting on with things and trying to lead a “normal life”. However, these last few months I’ve had moments of gratitude repeatedly for my parents (without whom I wouldn’t be seizure free), my partner (who saved my life and for giving me space, time and love in his own way), my sister and her family (for just being around and especially for allowing me to vent, cry, be a cow), and for a handful of friends I know I can count on. Amongst them, one recently came to London all the way from Mumbai last month, and she opened my eyes to a whole new world of Nichiren Buddhism I hadn’t explored. I’m thankful for the quality time we got to spend together and the exciting project we’ve dreamed up! I love that you and I recognise that we are “Dysfunctionally Functional” and accept it. It was also my niece’s first birthday and my sister and her fambam came to visit for four days. Whilst my friend was around there was one night where she had a dessert with flambéed alcohol on it, I took one bite and pretty much got drunk (who gets high on flambéed apple crumble?) We also went to Ping Pong (Chinese Dim Sum) two nights in a row. And I had dessert!!! Whilst my sister was down as well I went to the pub with my her and my BIL and had a chip from her plate with my steak, ate some rice and Paratha with my curry, I also had cake, panna cottage and ‘payesh’ (rice pudding) on my niece’s birthday. SO SUE ME, I decided to live a little for a few days 😂! No regrets. And it will happen again I’m sure. I’m not going to beat myself up about it. Whenever I do slip up, it reminds me that I just can’t stand sugar and carbs, it’s not for me. I can literally feel the sugar slap my brain around. It satisfies me temporarily for a few spoonfuls but in the back of my mind I think “hmmmm how can I ketofy this at home 😂!” What I really enjoyed though was just being around my family and friends. Unlike previous times during the summer for instance when I had a bad carb-up, practically went into a “food coma”, and also seemed to struggle getting back into the Keto way of eating, every single time I re-started keto after relapsing, THIS time I pretty much bounced straight back into ketosis after a few days, no major struggle or keto flu (although I did battle the real flu twice during this period). I didn’t fast intentionally although it may have happened that I unintentionally Intermittent Fasted a number of days sporadically. 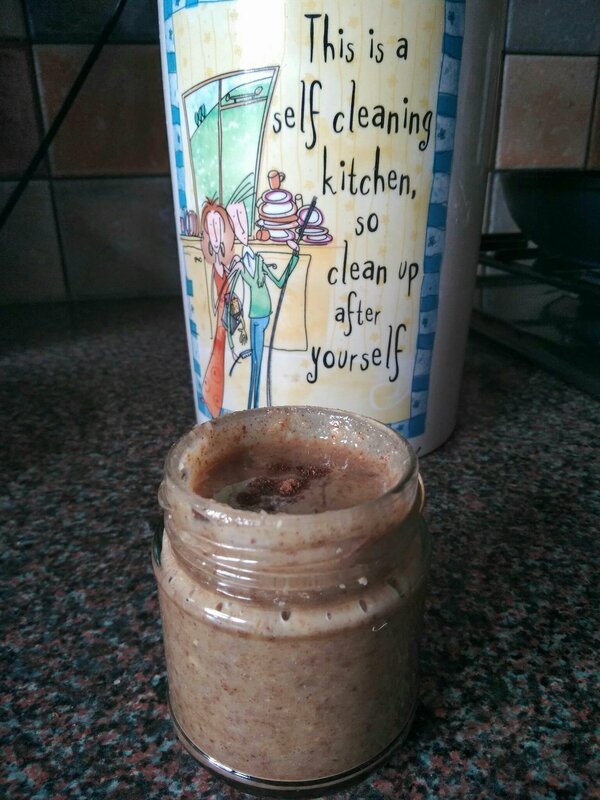 Anyway enough of my rambling, as November is the month for #EpilepsyAwareness here is a lovely nut butter recipe especially for my fellow #brainwarriors on Keto – #BrainButter! The reason it’s called Brain Butter is because it’s made from Walnuts, Pecans, and Fats (olive oil, ghee, coconut oil) which are good for the brain. I used all three, but feel free to use just one or two. 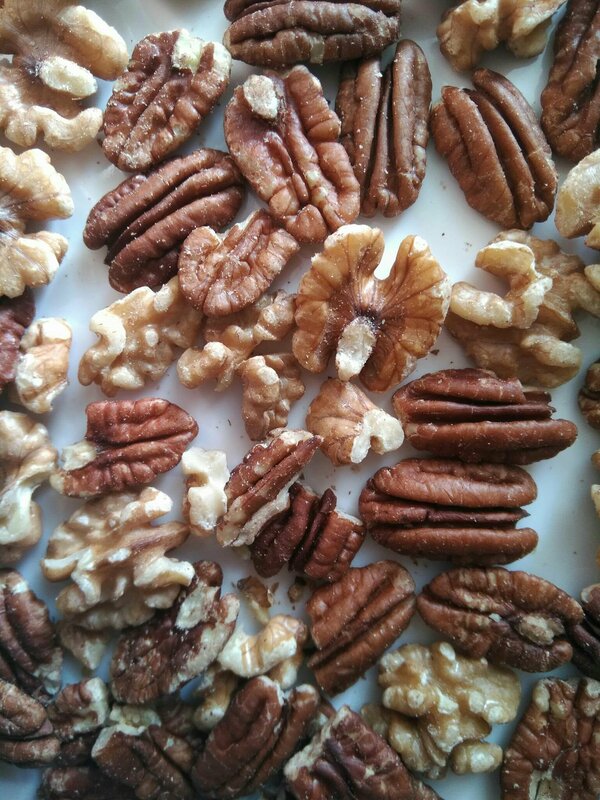 Walnuts and pecans look like the brain. It’s poetic almost, the whole process of making a nut butter is almost like what it is to be an epileptic – you’re ok one minute and the next your brain feels all mushy and you’ve lost control like liquid nutbutter. BUT homemade BrainButter is of course healing with so many nourishing and restorative properties. In addition to the countless health benefits of walnuts, they’re also supposed to have numerous properties which make them good for the brain and there are studies that show they have anticonvulsant and neuroprotective effects (albeit on rats). This recipe also has cinnamon which is supposed to be good for the neurological system including memory – us epileptics suffer greatly on that front! Probably because of the high fat content in walnuts and pecans, it comes together ALOT quicker than almond butter and peanut butter. I think it took me less than 10 minutes to blend a batch of butter. So for tired epileptics, maximum fat for less effort, I think it’s a go-to nut butter! 1 Tablespoon of this would give you a significant amount (0.9g) of your heart healthy Omega 3’s. Note: The ghee makes it smell/taste like burnt caramel a little bit, I would only suggest using homemade ghee otherwise use one / a combination of the other two oils, as store-bought ghee might be overpowering. 1. 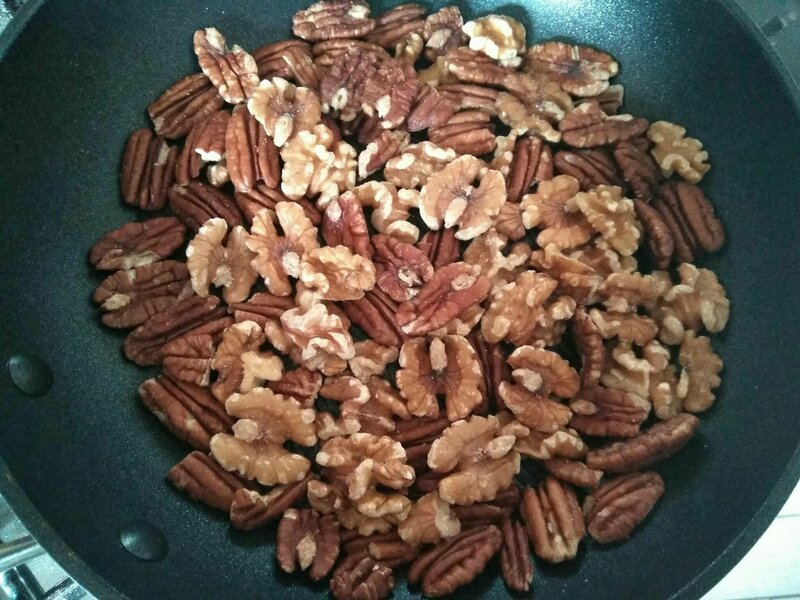 Toast your pecans and walnuts in a pan over medium heat for a few minutes to release the oils. 2. Set aside to cool slightly, allow the nuts to come down to room temperature before putting them in the food processor. 3. Place your nuts in a food processor and blend until you get a grainy consistency. 4. Then gradually add your oils in turn every 1-2 minutes. Keep the the processor churning, but check periodically, stir (and push down the sides and scrape the bottom of the processor) and of course taste as you go along if you must and adjust 😊! 5. This is what the finished Brain Butter should look like ! This recipe creates approximately 10 Tablespoons of Brain Butter. Update: How do you eat it? Like any other nut butter! On your (ahem low carb / keto) bread / toast / bagel / waffle / bun / pancake / donut / world! On top of a keto granola.